and was designed by Fran Seiford, the owner of Stampendous. 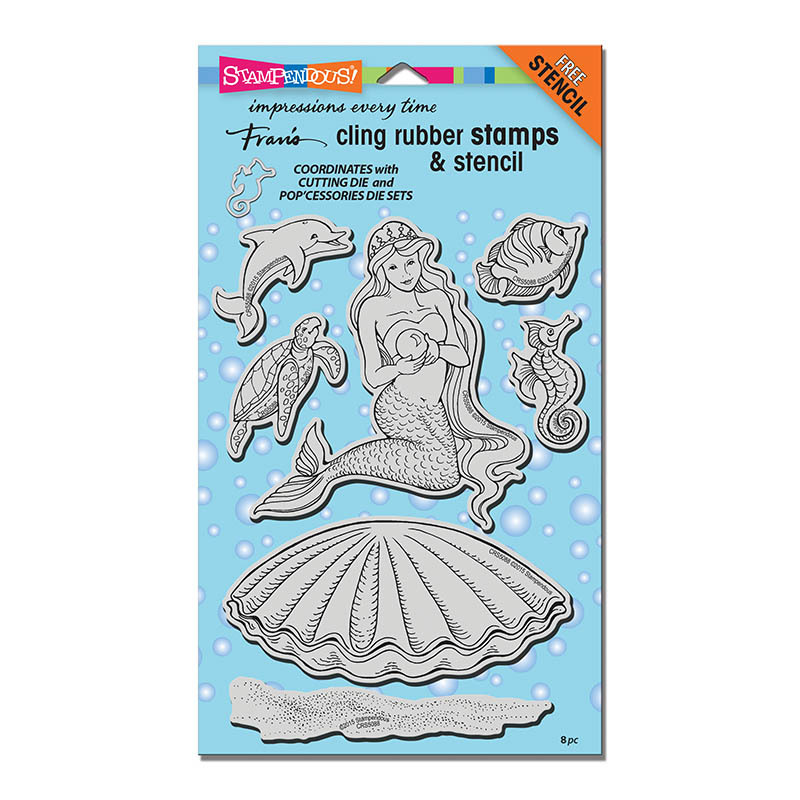 The stamp is a great size for card making! An extra entry is given for each of the designer’s blogs that you leave a comment on (listed below). 4 blogs = 4 entries. You have until the 28th of April to enter this hop. The background uses distress crayons. 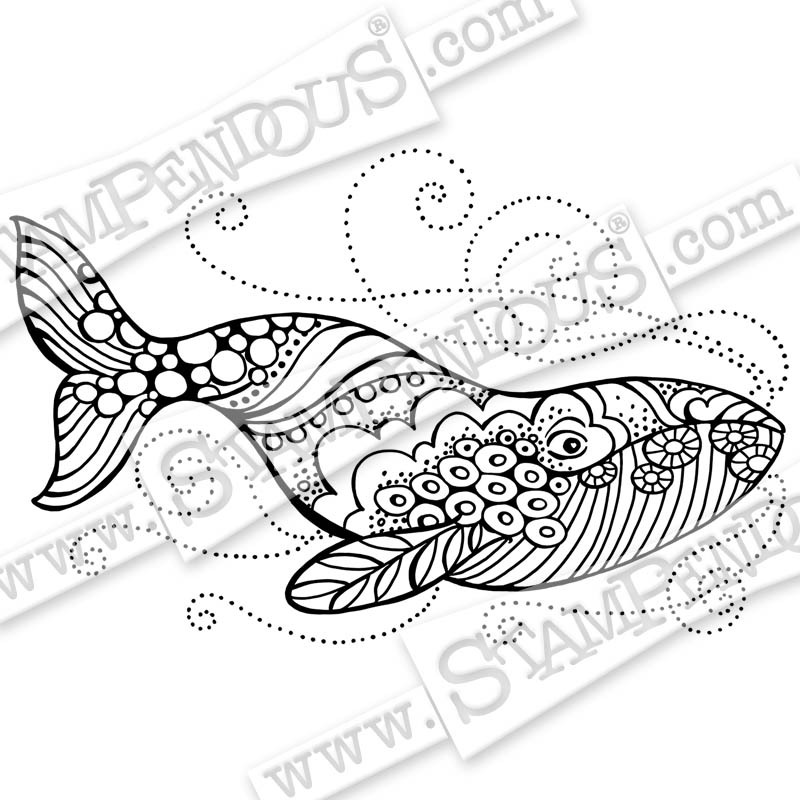 The main image has been masked, combining two stamps together, Stylized Whale and Pearl Mermaid, cut out and layered onto a panel with a little stenciling to continue the bubble effect. remember, the more blogs you visit and leave a comment the greater chance you have of winning! I am a Stampendous Educator here in Australia. 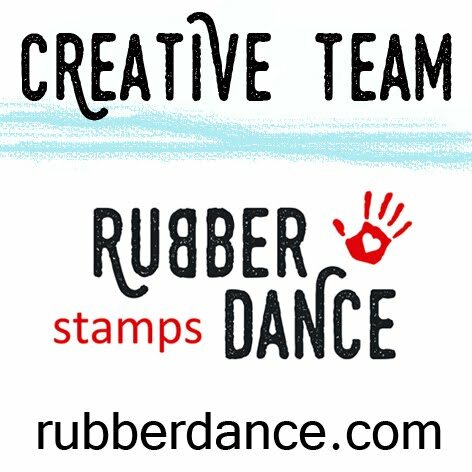 I’m also a stockist of Stampendous stamps and run a business called Ink Art Designs – feel free to contact me at dleathbridge@hotmail.com for information/prices regarding Stampendous stamps. Or check out my Aussie Etsy shop here. Facebook Group (Ink Art Designs), which is all about products and sharing information. Love the addition of the mermaid and the bubble background. Very water-looking and great colors! Goodness Dot, putting a mermaid with the whale is the perfect touch! I love the bright orange background as well. 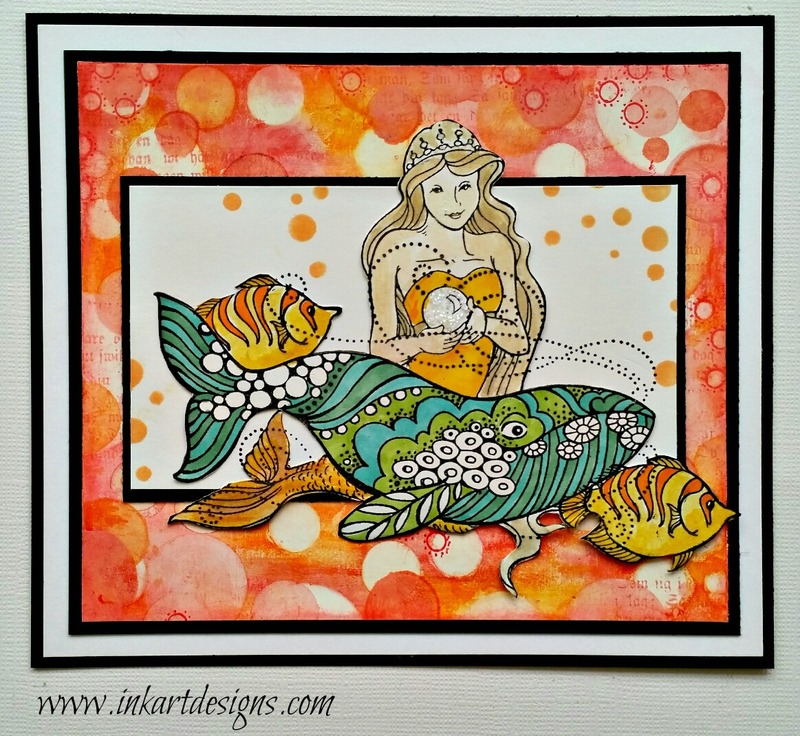 LOVE your under-the-sea scene, such pretty colours and creative masking!